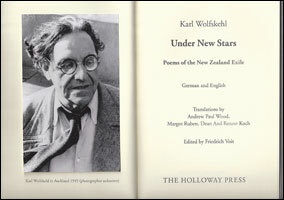 Karl Wolfskehl, UNDER NEW STARS: Poems of the New Zealand Exile. German and English. 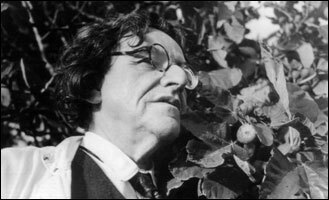 Karl Wolfskehl (1869-1948) was probably the most prominent literary figure among the refugees from Nazi Germany who came to New Zealand in the 1930s. Aged 69 when he arrived in this country, Wolfskehl wrote his finest poetry here in the last decade of his life. Until now little work by this important poet has been available in English translation. 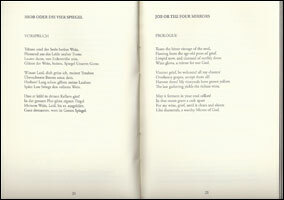 Now Andrew Paul Wood of Christchurch has added many new translations to existing versions by Margot Ruben and Dean and Renate Koch to provide a substantial bi-lingual selection of the work of Wolfskehl’s New Zealand exile, including his masterpiece Job or The Four Mirrors. UNDER NEW STARS is edited by Dr Friedrich Voit (University of Auckland), an internationally acknowledged authority on Wolfskehl’s life and work. In addition to the poems, presented on facing pages in both German and English, the book includes a substantial introduction by Friedrich Voit, a Note on Translation by Andrew Paul Wood, several tipped-in photographs (including two of Wolfskehl and one of his grave at Waikumete Cemetery), a facsimile of a handwritten poem, and a drawing by Leo Bensemann, alluded to in the poem To the Creator of “Fantastica”. UNDER NEW STARS is typeset in 12pt Adobe Garamond Pro. Letterpress printed by Tara McLeod on a Littlejohn Cylinder proofing press from photopolymer plates made by Inline Graphics Ltd. The paper is 104gsm Sundance Felt natural white. Binding is by Design Bind Ltd. and includes silver blocking of Wolfskehl’s initials on the cover. Hard covers, 108 pages, 240 x 160mm, an edition of 90 copies. ISBN 978-0-864618-2-8. Price $290. A pre-publication price of $240 is offered up to the end of October. UNDER NEW STARS was launched at the Gus Fisher Gallery, 74 Shortland Street, Auckland, on Thursday 30 August, 2012 at 5.30pm. The speaker was Dr. Leonard Bell.